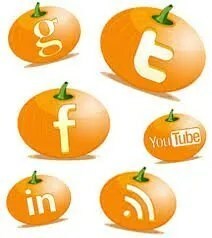 I’m experiencing an influx of inspiration due to what I believe is the truly most wonderful time of the year. 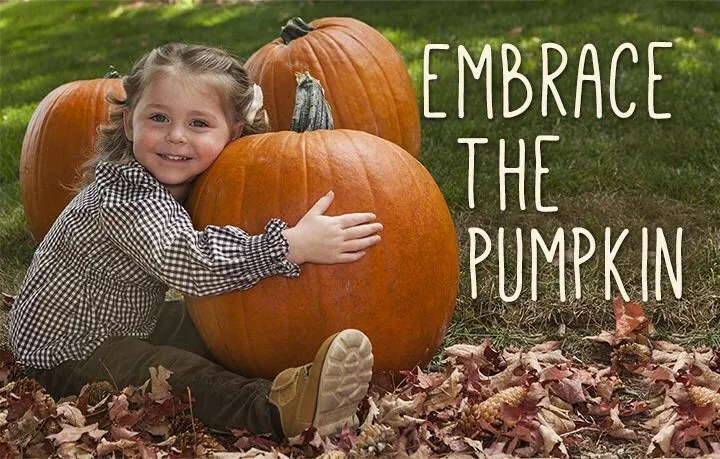 It’s not just pumpkin season, although pumpkins are certainly the kings of the gourds. It’s winter season, when many of our favorite fruits and vegetables have gone dormant and won’t sprout again until April or even later. So, having food that is as versatile as pumpkin available in the winter time is a blessing. OMG!! 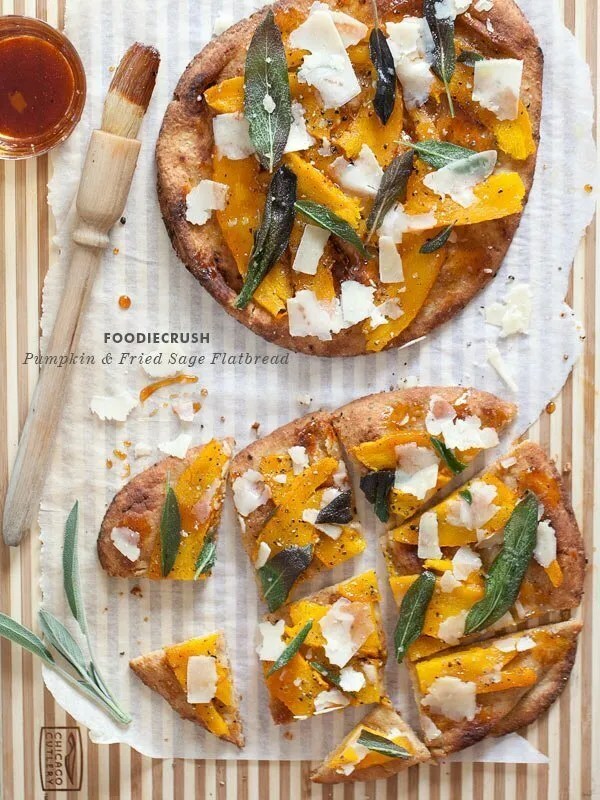 PUMPKIN FRIES AND PIZZA?!?! Did I just die and go to heaven?! There are many other foods available this time of year, even if they aren’t as glorified as the pumpkin. 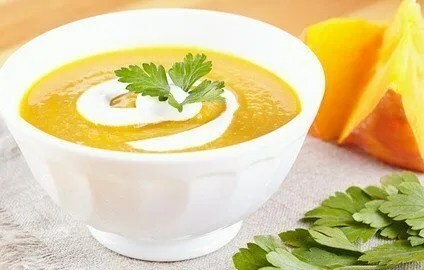 What is Autumn without some butternut squash soup to warm the soul? Or acorn squash to accompany a favorite entrée? 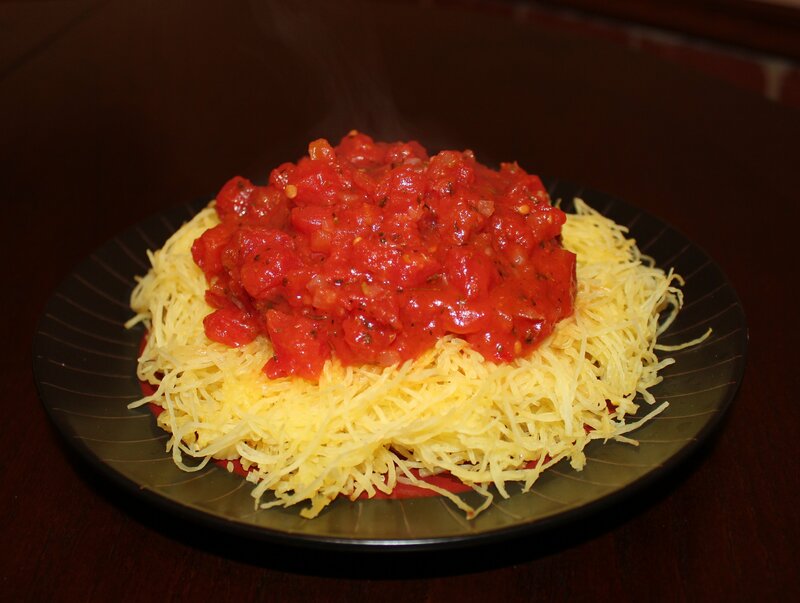 And lest we forget, the magnificent spaghetti squash! 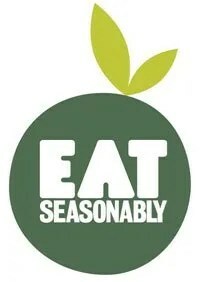 Discussing this topic with my husband, we had some further enlightenment in the subject of eating locally and seasonally. 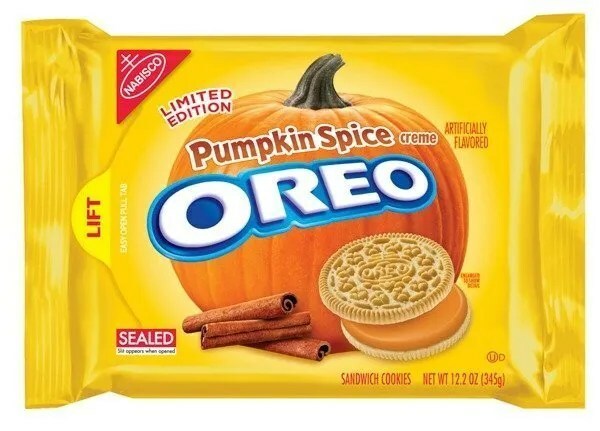 I feel the main reason for the disenchantment of pumpkins and seasonal foods is 1- the over-marketing of “food like” products that are barely made with what we think is the hallmark of the season, and 2- our disconnection to the earth. If we made consumer choices with the earth in mind, and ignored the obnoxious overture made by the media, we would find ourselves in love with the winter gourds, and thankful for their season. We would gorge ourselves on this bountiful bouquet of soups, stews, pies, and casseroles. And when our usual favorite treats returned in the spring, we would bid farewell to the staples that kept us nourished throughout winter, but with gratitude and perhaps even nostalgia. Because Autumn and Winter provide some of the most favorite memories, with the holidays and family, of cozying up next to a fire or under blankets, and of warm hot chocolate and delicious foods. And when we eat with a connection to the earth, partnering with her seasons and her harvests, we would view this season for the great gift it truly is. I do love Fall. I love the way the trees change color. I love the nip in the air, but not so cold you don’t want to step outside. I love the smells of Fall. Not the pumpkin spice latte smell, but the fresh rains of the Northwest, the damp ground. I have always enjoyed this season, but now that I try to live close to nature and be more a part of it, I have found it to be even more remarkable. So, get off your phone and get to the local market and find yourself lost in the plethora of options from delicata to kabocha. Dice leeks and place in bowl of water. Rinse thoroughly. Dice potatoes into bean sized cubes. Put leeks and potatoes, plus the salt, seasoning, and parsley into a large saucepan with 6 C water. Bring to a boil and then simmer for 20-30 minutes. When potatoes are done (soft), drain about 1/3 of the water left in pot. Scoop out half the soup and transfer to a blender. Be sure to get an equal proportional amount of leeks and potatoes. Blend until smooth consistency and all lumps are gone. Return the blended mix to the pot. Add broccoli/cauliflower and chicken if desired. Stir everything together and let simmer 5 more minutes. Pre-heat oven to 375 degrees. Cut acorn squash in half. Gut all the seeds. Lightly brush oil onto a baking pan. Place squash cut side up on the baking pan. Lather on the applesauce to the edges and all in the cup portion. Sprinkle pine nuts on top of applesauce, then sprinkle spices over the squash. Place acorn squash in the oven for about 30-45 minutes. 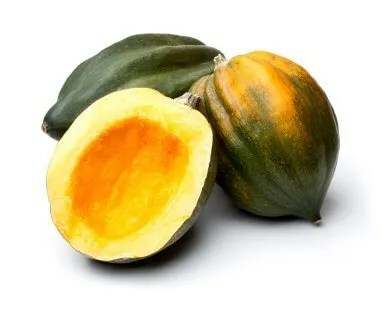 If you like your gourds soft, leave in a little longer. Pre-heat oven to 400 degrees. Oil a baking pan. 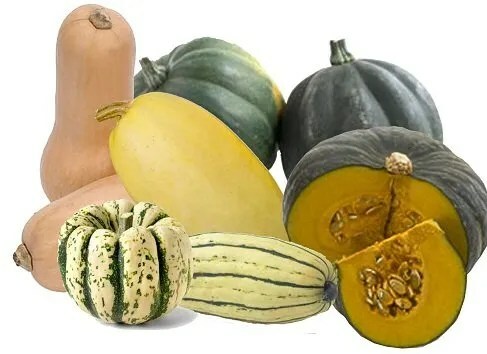 Cut squash in half long ways and spoon out seeds. Place squash halves cut side down onto baking pan and place in oven for about 45 minutes to an hour. Meanwhile, prepare sauce. If using meat crumbles, break up frozen chunks by squeezing the bag or banging it on the counter (whichever concerns your neighbors more), and heat up contents of the whole bag in a large saucepan. Add remainder of ingredients (tomato sauce through McCormick’s seasoning) to saucepan and simmer slowly at medium-low heat for 10-15 minutes. 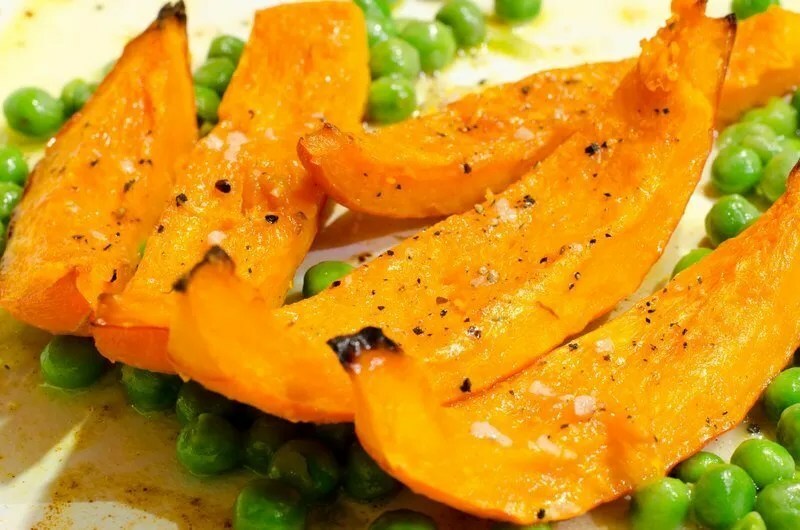 When squash is done, carefully remove from oven and using a fork, scrape the “meat” into a bowl. If my recipes turned out even 1/8th as beautiful as this, I’d be famous already! I’m still working on perfecting this one, as well. It’s coming along nicely, but it may change as I find which spices work best. Pre-heat oven to 350 degrees and oil a baking sheet. Peel and chop butternut squash into chunks, discarding the seeds. Place chunks on the baking sheet and bake in oven for 20 minutes, or until finished with step 3. Chop potato, apple, carrots, and onion and place in large skillet/saucepan that is lightly oiled. Heat on medium heat, stirring occasionally until apples and potatoes are slightly tender. Add milk and broth and spices (salt-cloves) to skillet. Stir to mix. Add butternut squash chunks and stir to mix. Simmer, uncovered, for 10 minutes or until all vegetables are soft. Transfer contents of saucepan to a blender. Depending on strength or durability of blender, this may need to be done in 2 or even 3 batches. 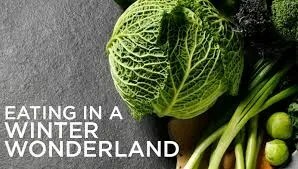 If so, pour chunky soup into a large bowl and pour portions of stew into blender. Blend on high until very smooth and creamy texture. Return the blended soup to the saucepan. If consistency is too thick, add more almond or coconut milk in very small amounts until it matches consistency to your liking. Serve warm, with either green onions atop or coconut creamer swirled on top. Place kale pieces into an extremely large container. Drizzle olive oil and salt over kale. Seal container and shake vigorously to mix oil and salt. Add optional ingredients if desired, and re-shake to mix the spices. 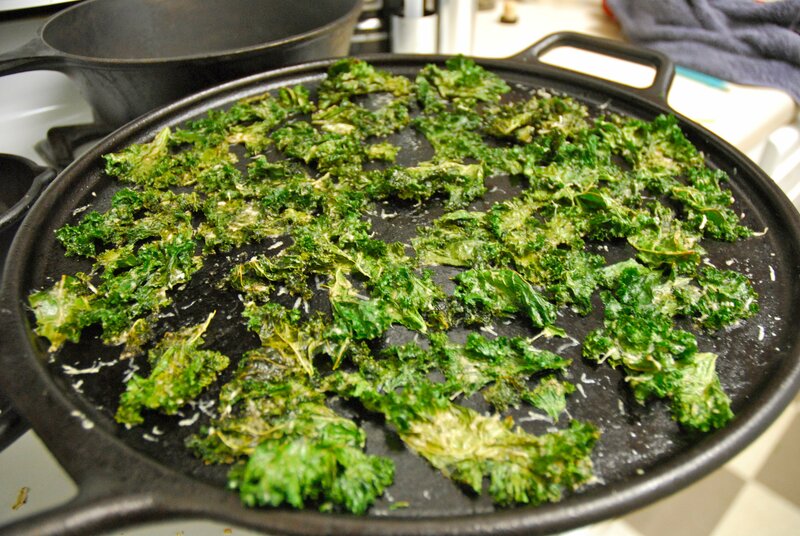 In batches, place a single layer of kale onto a baking sheet and bake for 20 minutes. Transfer kale chips to a sealable container. Repeat for next batch until all kale is baked. Try not to eat entire batch while next one is cooking…. 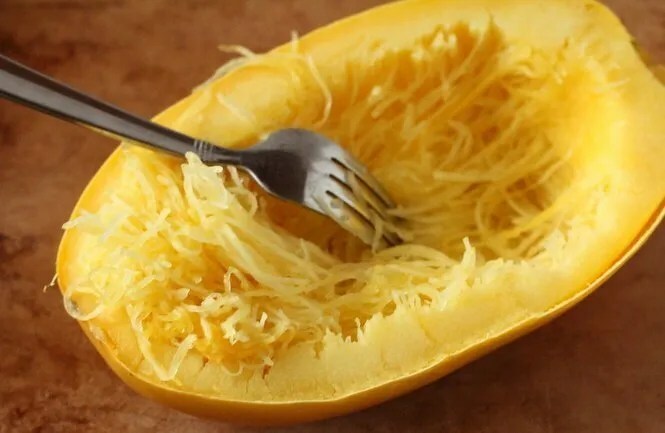 I love the Spaghetti Squash, I don’t feel a need to buy noodles ever again with this amazing vegetable.